"It gives (caregivers) their perspective back, it provides a place for them to go." That is Senior Caregiver Coach Marla Caplan's summation of Highmark's CaregiverHQ program. The cost is $79 per month, and enrollment runs for a month at a time, with the flexibility to sign on and off as needed. Caregivers will be paired with a Personal Care Coach – someone who is matched based on needs and who will listen, answer questions, do research, offer suggestions for helpful and supportive services, and assist in planning a more manageable lifestyle. The front of the brochure reads: "You're Caring For Someone Else. Who's Caring For You?" Launched in April, Highmark's CaregiverHQ program answers that question; but when you read more about it, you'll wonder where it's been all these years. "Why weren't you there when I needed you?" is the question Marla Caplan says she hears all the time. Caplan, senior caregiver coach for the program, explained, "This is a new concept, although it's been in the works for two years. Historically, everyone takes care of the patient, but we address the needs of the volunteer family caregiver." Philip Tanner, Director of CaregiverHQ, is himself a former caregiver to his father who had Alzheimer's. "Being a caregiver is the hardest job you'll ever do," he said. "It challenges us in ways we never dreamed – both physically and emotionally. 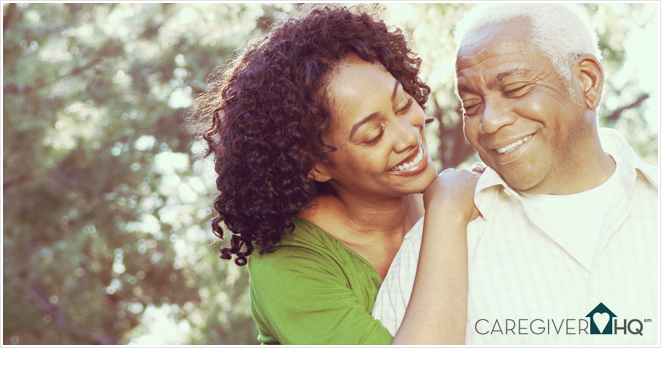 (CaregiverHQ) can help untangle the maze and reframe the caregiver experience." The coaches do this, he continued, through a comprehensive support system developed by Highmark. At the core of the success is the collective 75 years of experience of the team members. "They focus on encouragement and listening." Caplan pointed out, "For example, maybe your Mom needs to be placed somewhere. We can find out what her needs are, what area you'd prefer, and any financial considerations, and we can check into some places. You may be able to do this on your own, but we can save you the time." She said the bulk of what the coaches do is listen. "Everybody is different as far as needs, so we listen and then say, 'Here's what I can help you with.' We can be a sounding board, sometimes people just need to get things off their chest. We're a safe place where the caregiver can come and not be judged, where they can admit, 'I hate having to do this.'" Care Coach Marcia Warren shared that the assistance she provides to her caregivers ranges from identifying the strengths they have and praising them for what they're doing; to offering suggestions for how to talk with their managers about a flexible work schedule; to practical ideas on how to handle two wheelchairs in a hospital when taking both elderly parents for an appointment. Caplan said that despite the program being in operation for only a short time, she has already received positive feedback. "One woman said, 'My Mom is no longer a burden to me.' Another said, 'I haven't been able to travel, or even talk with friends for ages.' We can help." She said caregivers have had a loss of perspective of how easy things can be. Caplan also emphasized that while people generally think of a caregiver as one who is tending to an elderly parent, it can also refer to caring for a spouse, a special-needs child or any loved one. Who's caring for the caregiver? The CaregiverHQ program. For more information, call (844) 321-CGHQ (2447) or visit www.caregiver-HQ.com.